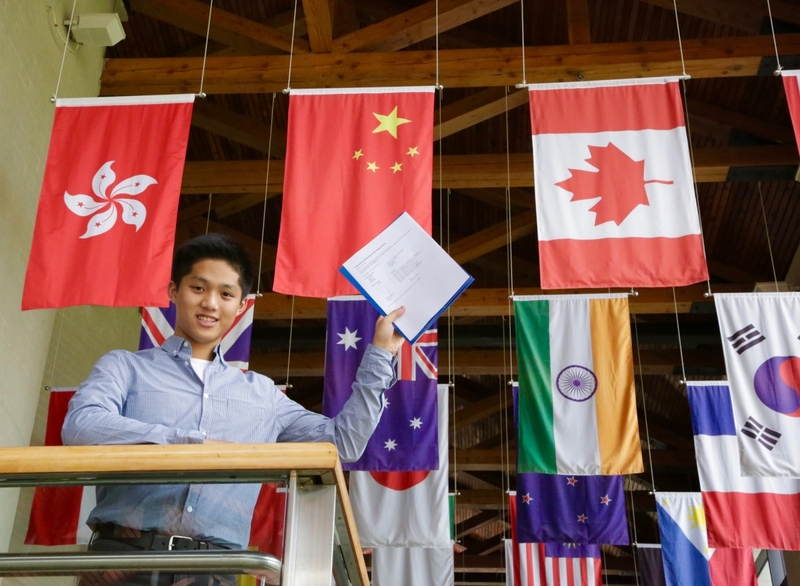 Canadian International School of Hong Kong graduates are celebrating after receiving their 2018 IB Diploma Exam results. 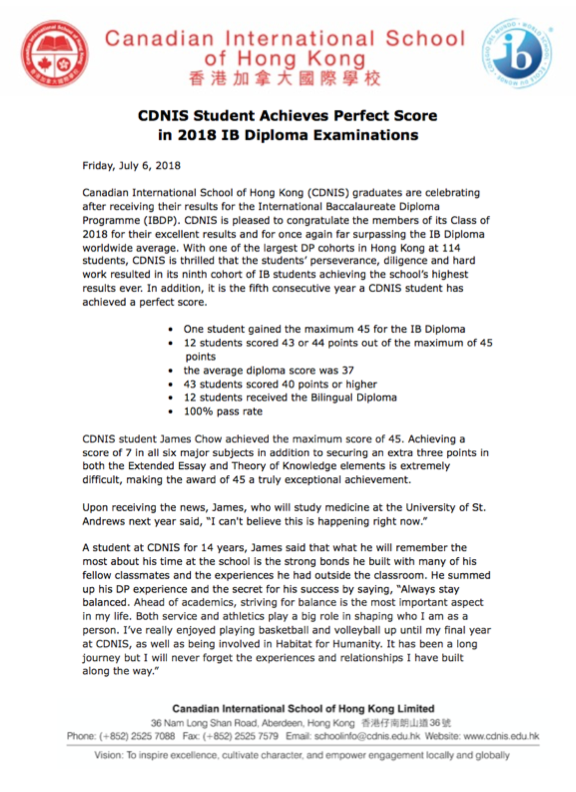 CDNIS is pleased to congratulate the members of its Class of 2018 for their excellent scores and for once again far surpassing the IB Diploma worldwide average. 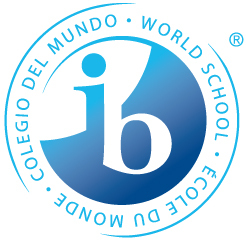 With one of the largest IB cohorts in Hong Kong, CDNIS is thrilled that the students' perseverance, diligence and hard work resulted in its ninth cohort of IB students achieving the School's highest results ever. 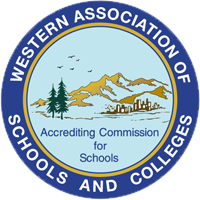 CDNIS would also like to recognize James Chow, who achieved the maximum score of 45 – a feat shared by just a few students worldwide. Congratulations to all our graduates!